We're tired of seeing easily recyclable items in the general waste bin, so we've created a novel solution to make people more aware of their garbage. When an item is thrown in the general bin, it is only accepted if it is indeed non-recyclable! We used Kotlin to write the camera app. 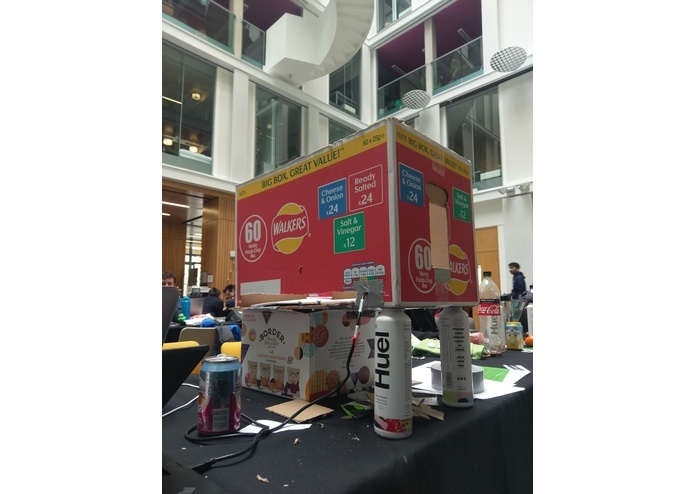 Also we used Firebase ML kit to classify the images using Google Cloud Vision APIs, and Arduino to program the servo motor of the bin.